California Homeschooling Today is brought to you by California Incline LLC & Lennon Leppert. I was homeschooled my entire life. I am a songwriter, composer and music producer. 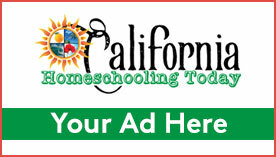 I want to benefit homeschooling families just as I have benefitted, so I offer you this website to bring you information to help you in your journey.